In this video, we will use the YouTube API on an ESP32. We will start by installing the ESP32 in the Arduino IDE. The code will even work if you don’t have an OLED display. 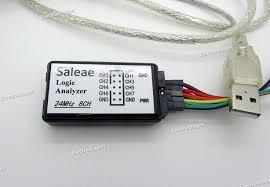 It will output the data using the serial port. DCC is a digital signal and therefore black magic and wizardry to a lot of old-school model railroaders out there. So let’s take a class at the Hogwarts School of DCC Wizardry. I have made a video about DCC Packets. In this video, I’ll analyse the DCC packet stream using cheap USB logic analyser . And using the NMRA DCC standard will show that it truly is quite simple and life doesn’t have to be analog. I have more model railroad videos on YouTube.